A number of books related to molecular gastronomy and food science will appear this fall – I’ve previously mentioned the Fat Duck and Alinea cookbooks. But there is more, much more! This time I would like to draw the attention to two books on sous vide which are due to appear in October. And notice how nice the titles compliment each other – one is under pressure, the other one under vacuum! 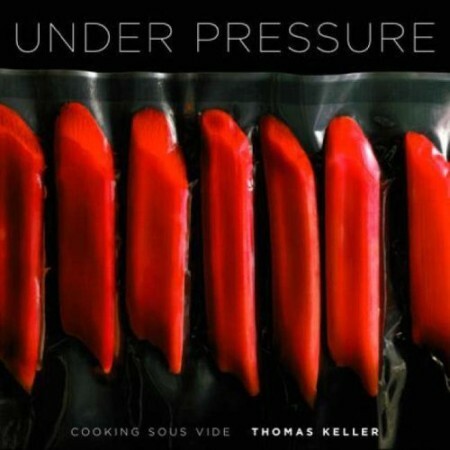 Thomas Keller, known from the French Laundry, Bouchon and per se, has written the book “Under Pressure – Cooking Sous Vide” (the Under Pressure title was also used by NY Times in a 2005 feature article on sous vide). According to the publisher, Keller and his chefs de cuisine have blazed the trail to perfection through years of trial and error and they show the way in this collection of never-before-published recipes from his landmark restaurants. 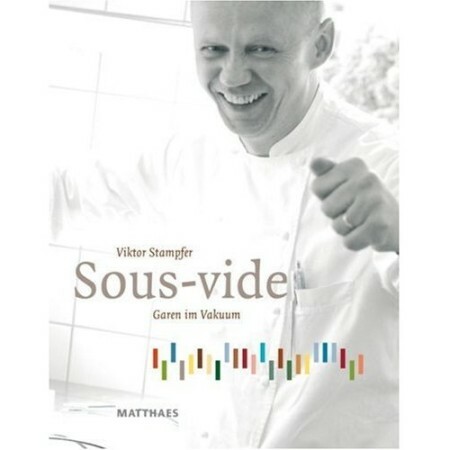 The book “Sous-Vide Garen im Vakuum” (Sous vide cooking under vacuum) by Viktor Stampfer (known from the Ritz-Carlton in Dubai) has received much less attention, but certainly deserves to mentioned. The title is in German, but do not despair – it seems to be a bilingual edition with German and English text (can anyone confirm this? ), but so far it’s only available for preorder from the German Amazon. According to the publisher the book gives an introduction to the equipment used including sealing devices and recommended temperatures for cooking together with numerous recipes. These are not the first books to appear on sous vide – enthusiasts have probably obtained one or more of the books by Roca, Farber, Ghazala, Leadbetter, Choain/Noí«l and Calmejane/Barrier – but I’m quite sure that the new books will complement these very nicely, and they will certainly be more available as several of the others have unavailable for some time. you can find a few interesting sous vide recipes in our new book “Verwegen kochen”, also informations about history and development of sous vide. On “Gourmet’s Diary of a Foodie” they interviewed Nathan Myhrvold and he mentioned that he was working on a book in this area as well. I’m pretty sure you already know about this guy, but here’s a piece on him in wired. One other thing that stood out on the show was his use of a centerfuge to remove particulates from fluids, making a clear tomato consomme; a more practical approach to this might be Harold McGee’s technique with gelatin filtration … have you tried this yet? Steve: Yes, I seem to recall that there was something about Nathan working on a sous vide book in the egullet thread on sous vide (where he has made significant contributions!). In the lab I would certainly use a centrifuge so separate out solids, but gelatin filtration is more practical, I agree. I’ve made strawberry consomme once. I’ve received feedback that agar filtration is quicker, but I haven’t come around to try it yet. Thanks for mentioning The Fat Duck book! I knew that there was one in the works but had no idea it was coming out this year. One for the Christmas list, methinks. According to Amazon Viktor Stampfer’s book is also in english.